Chennai’s a great place to learn how to dance because many of the top dance schools in the city have been in business for more than a decade. So we’ve picked five of the best from across the city that we think everyone into dance, should know about. The first Western Dance school in Chennai, John Britto’s Dance Company was setup in 1995 and currently has over 9000 students coming in annually! They have six centers across the city, along with tie-ups in educational institutions and other organisations. Their size comes from the fact that they’ve been teaching Jazz, Hip Hop, and Salsa very well, for many years now. 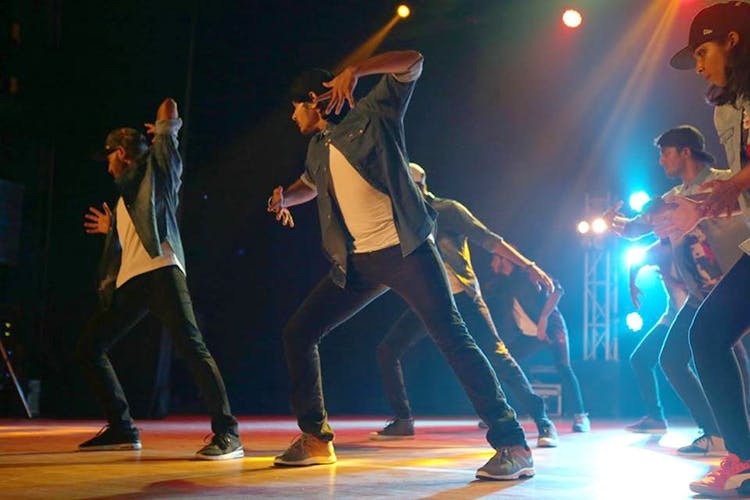 If any of you reading this are fans of dance movies like Step Up, you’ll be pleased to know they have a professional dance team that takes part in competitions across the globe. They’re super beginner friendly and have classes for different age groups at flexible timings. The second biggest dance school in the city, Swingers was started in 1998 and like John Britto’s is known for its hip-hop, jazz, ballet, and salsa classes. You can sign up for classes for individual dances, or you can be a part of the newly launched certificate program, where for 10 weeks you can get a taste of all the dance forms they teach. That’s something we haven’t seen too many other dance schools do. They have professional, non-professional and personal coaching classes at flexible timings in their four centers in Chennai. This age-old arts and cultural academy in Besant Nagar is arguably the best place to learn Bharatanatyam in Chennai. Classes are available as both part time and full-time courses in their massive sprawling campus. Teachers here are professional dancers who’ve spent their lives learning the art, and what you learn here is said to be of a gold standard. What’s more, the large campus setting means that dance classes here won’t have to deal with the cacophony of city and traffic noise like other dance classes. Started by a seasoned salsa dancer called Arun Srinivasan, Salsa Madras has done much to bring to Salsa (and now Bachata and Kizomba) to Chennai. Their courses are split over four levels, with their introductory level course being the foundation to what they teach. The social side of Salsa Madras is a big reason why they’re so popular, their regular socials and salsa nights take place in popular watering holes in the city like Sudaka and others. In case you were wondering, yes you can sign up for classes by yourself and not just as a couple. This last entry is a smaller outfit than the other four giants on this list. Started just a few months ago, The Movement Studio is a Pilates and Dance school and have made this list for their Ballet classes. They pride themselves on their instruction and coaching and their ballet classes are very highly rated. They have classes for kids as well as adults, with flexible timings. What’s more, if you’re really interested in learning ballet, you can ask them for a trial! For more info, read our story here.